Sometimes the most simple tasks can stop you. A client sent me an email asking how to add an MP3 audio file to WordPress. Since I hadn’t done it, I had to think about it for a second. And then I tried the most simple way I could think of. And it worked. The following tutorial explains how to add MP3 to WordPress. 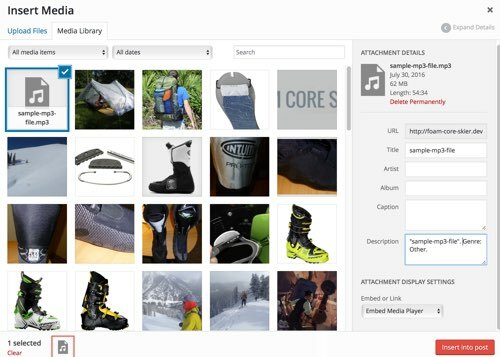 You can upload an MP3 file using the Add Media button in a post or page, or you can upload an MP3 file using the Media Manager. In either case, there are upload limits when uploading files this way. Note: If your MP3 file is larger than your site’s maximum upload file size, contact your host and ask if they can increase it. 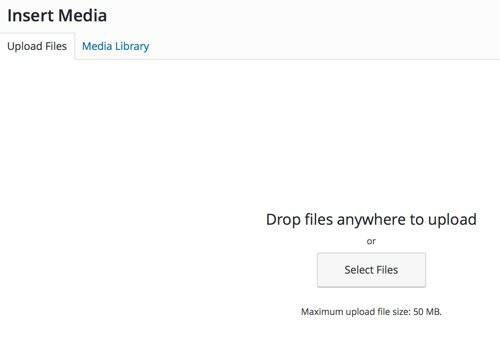 If your host can’t increase the maximum upload file size, you can use an FTP tool to upload the file to your server and then add it to your media library using the Add from Server plugin. Once you install the Add from Server plugin, the Media Manager has an option to Add from Server. From a post or page, click Add Media. The Insert Media screen is displayed. The maximum upload file size is listed below the Select Files button. 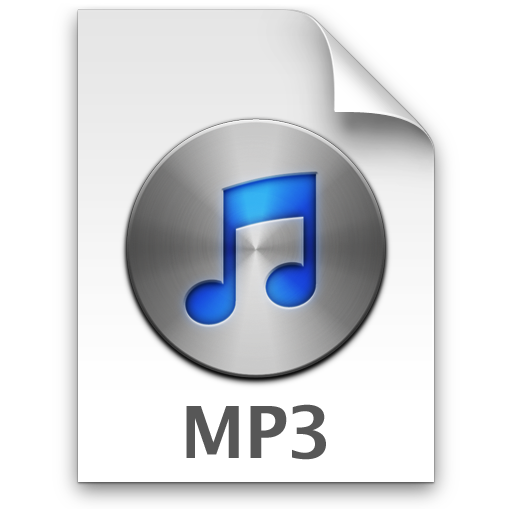 If your MP3 file is smaller than the maximum upload size, click Select Files and select the MP3 file. Your MP3 file is uploaded. 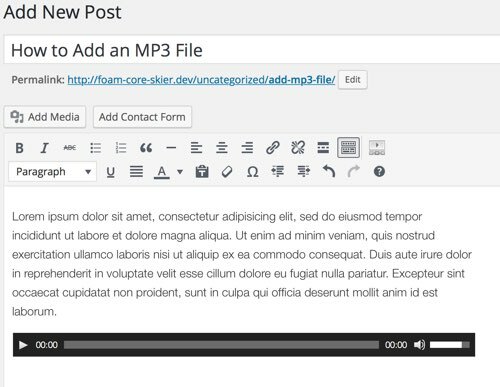 WordPress inserts the MP3 file into your post. View the post to make sure the MP3 file plays.